Introducing the On and Off-Ice Training Team for our Development Camps & Programs! 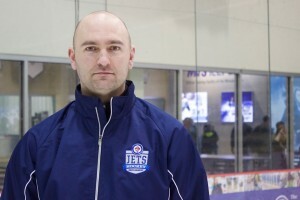 Dean has worked with athletes from the grass roots level in minor hockey to professional level. He works to guide, challenge and push elite athletes and beginners alike to discover their full potential, while providing them with a positive experience to increase their level of self-confidence. After a successful playing career in the MMJHL, CSHL,and OBERLIGA, Dean’s coaching career began as an assistant coach in the MMJHL for the Fort Gary Twins and Charleswood Hawks. After several years in the MMJHL, Dean moved on to be head coach for 3 seasons at St Norbert High School in the WHSHL followed by 15 years of coaching all levels of minor hockey. Dean believes in making healthy lifestyle choices and implementing them into a fun active routine, tailored to the athlete’s needs. His philosophy is to focus on skill development while challenging and pushing you to the limit. He believes that hockey requires a high level of coordination; developing fine motor skills, improved eye-hand coordination, discipline building stronger muscles and improving endurance. Dean continues to work with athletes in the Jets Hockey Development program teaching fundamental skills and the importance of detail. Larry’s ultimate goal is to give each player the opportunity to fully develop to go to the next level. 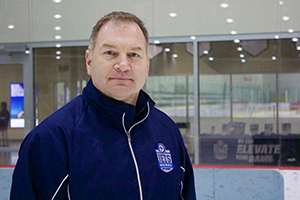 After a long and successful playing career at numerous levels, Larry’s passion for the game of hockey naturally led him to the coaching ranks. 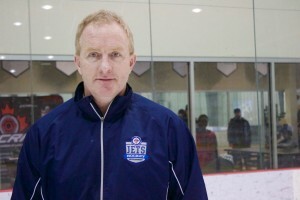 Larry is a Hockey Canada certified coach with 28 years of hockey development and coaching experience at many levels within minor hockey, including playing college hockey with the University of Manitoba Bisons. He has enjoyed a close working relationship with many provincial Junior and North American Junior A hockey clubs during their evaluation and regular seasons. 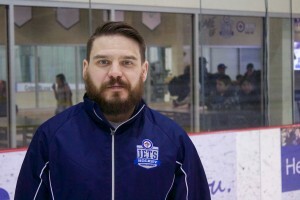 He is currently head coach for the St. Mary’s Academy Prep hockey team and serves as the Head Instructor / Manager of Player Development at the Bell MTS Iceplex. Larry founded Northwestern Hockey Sports Camp in 1988 and as the Director, Larry expanded programming to include development opportunities for all playing levels. Jets Hockey Development is proud to have adopted Northwestern Hockey Sports Camp into its Jets Hockey Development Program as of the fall of 2013. The quality and professionalism that has embodied the Northwestern family of programs including spring training, summer day camps, specialty camps for Junior and AAA players, comprehensive and dedicated female programs, school-based Learn to Skate and Learn to Play programs and in-season winter training academies will continue to be provided under Jets Hockey Development. As a direct result of his mentorship and programs, Larry has proudly watched many of his young players go on to realize their own hockey goals at the highest levels. Larry’s greatest coaching pleasures are to see his players realize their successes and dreams. Whether it is the initiation player mastering a two-foot stop, a peewee player perfecting their shooting accuracy or a player hearing their name on the draft list, Larry shares in the excitement of these successes for all players. We look forward to all hockey players having a chance to have an “Experience of a Lifetime” under the Jets Hockey Development model as you have had the chance to do so over the past 26+ years of Northwestern Hockey Camps. As a Hockey Canada Mentor, Dave brings over 20 years of experience in coaching where he has worked with all levels of players including Pro (NHL,AHL,ECHL), College (NCAA, U Sports), Junior (WHL, BCHL, MJHL) all the way to young players learning to play the game. Dave has experience coaching teams and working with coaches to implement skills into their practice plans. Dave has helped players go on and achieve their goals including players getting selected in the WHL Bantam Draft, players making the jump to the NCAA, players getting selected in the NHL Entry Draft, all the way to players winning the Stanley Cup. For the past 14 years, Dave has specialized in working in the area of Individual Skill Development. These areas include; Power Skating, Shooting, Stick Handling, Passing, Position Specific Sessions and many more. He has built customized curriculums for programs, groups and individuals to help in their hockey development. These skills are broken down and instructed through unique teaching tactics to help players learn and improve. Dave works to find different ways to get through to players knowing that each player is different in the way they learn and train. He has a great imagination for training and is able to come up with different ways to implement skill development into game situations. He believes that confidence is built from practice and players can continue to get better through detailed work in specific areas. Dave played his minor hockey in the Winnipeg area before moving onto the WHL for 5 years where he was drafted by the Pittsburgh Penguins (3rd round 80th overall 1998). Dave returned to Winnipeg to attend the University of Manitoba where he obtained a degree in Kinesiology before starting his coaching career. 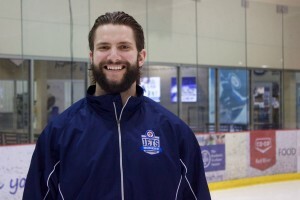 Andy is a Winnipeg native who grew up playing junior hockey in the MJHL for the St. James Canadians and then progressed to playing 4 years of NCAA – Division 1 hockey with the University of North Dakota. Andy went on to play 3 years of professional hockey in the UCL, ECHL and WHA2. Andy has also helped train goalies throughout his playing career which include teaching camps with the University of North Dakota, Tretiak Goalie School, and Messier Banff Hockey School among others.